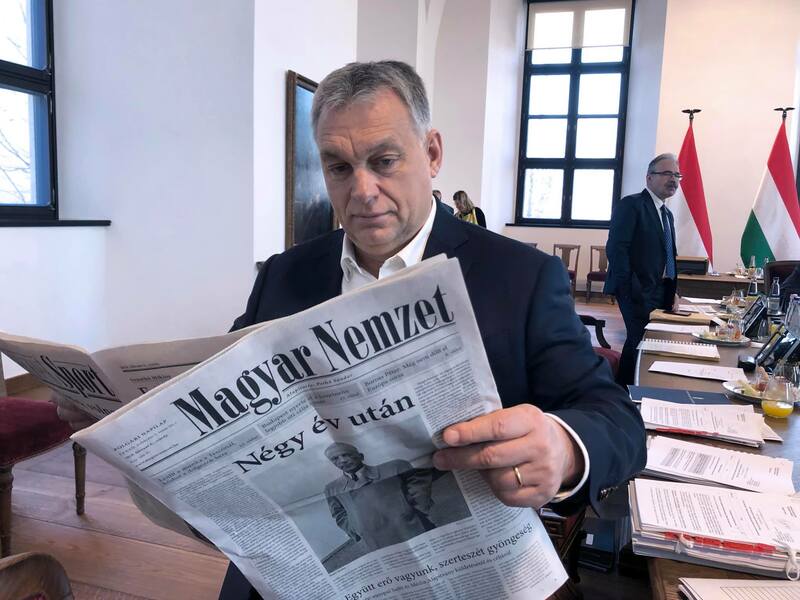 Political daily Magyar Nemzet (Hungarian Nation) has been published again following government-friendly Magyar Idők’s (Hungarian Times) closure. 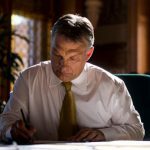 The editorial staff of the old Magyar Nemzet divided after billionaire owner Lajos Simicska broke with his decades-long ally, Prime Minister Viktor Orbán. About half the staff remained, writing government-critical articles for Magyar Nemzet until its closure. Meanwhile, the other half had been penning pro-government articles for Magyar Idők. Since then, the two sides have accused one another of degrading the spirit of the paper. The paper’s history can be confusing for a foreign audience. Magyar Nemzet (Hungarian Nation) was established by Sándor Pethő in the late 30s. During those days, the paper had a right-wing stance but also represented an anti-Nazi standpoint and was critical towards Hungary’s alliance with Germany. 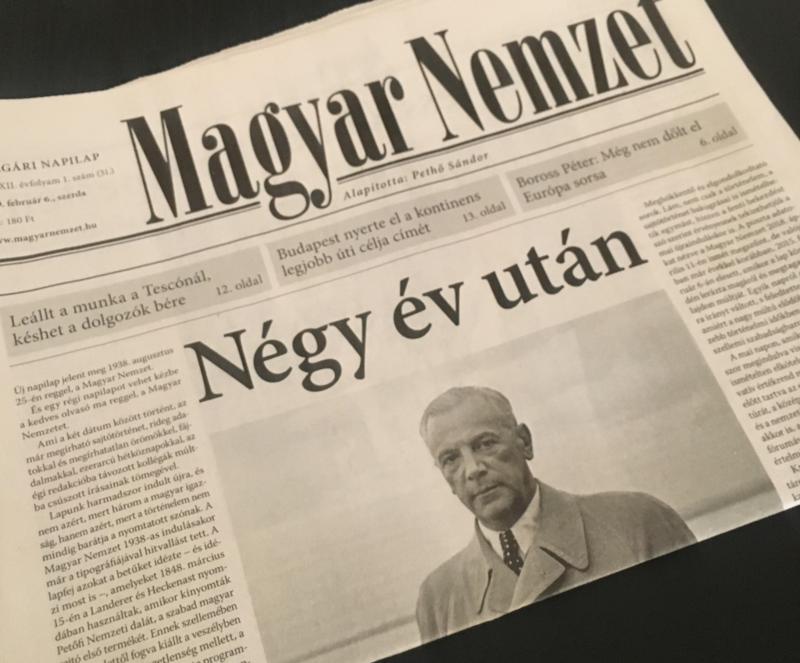 After WWII, the daily was anti-communist, but after Mátyás Rákosi and his party came into power, Magyar Nemzet was turned into a pro-(communist) government medium just like every other newspaper in the country. However, during the Socialist decades, Magyar Nemzet’s readership primarily consisted of intellectuals. At that time, newspapers could not be independent, but the writers (some of them having been accused of being right-wing) tried to cautiously widen the frame of editorial independence granted by the communist state. Aside from the internal politics guided by official propaganda, the paper could produce journalistic-like reports, glossa and foreign-policy articles. Magyar Nemzet’s role was to convince non-communist readers that the political system was not so bad. After the transition, Magyar Nemzet’s staff remained more or less the same as in the previous system. With the addition of some new writers, the paper adopted a conservative, patriotic stance with modest style in the late 90s. The big change came when Fidesz-bond entrepreneur and old friend of party leader Viktor Orbán, Lajos Simicska, took over the daily. He merged the staff with that of outspoken right-wing newspaper Napi Magyarország’s (Daily Hungary) and fired most of the old guard, continuing under the name Magyar Nemzet. After that, the paper began functioning as a pro-Fidesz media outlet, seldom criticizing the party. It all ended when Simicska publicly insulted Viktor Orbán. Prior to the shocking incident, Simicska worked closely with the PM during his second term. From 2010 to 2014, Közgép, Simicska’s construction company, was a favorite of railway and highway consortiums. No official explanation has come to light as to why the relationship ended, but the businessman hasn’t received any government procurement since 2015. After the conflict became official, half of the staff left and began working at the newly-founded pro-government publication, Magyar Idők (Hungarian Times). The other half remained and began writing articles increasingly-critical of the government, emphasizing that the daily is “in the opposition but not of the opposition.” However, in the months leading up to the 2018 general elections, Magyar Nemzet was criticized for allegedly supporting Jobbik, the strongest opposition party that newspaper owner Lajos Simicska backed publicly. 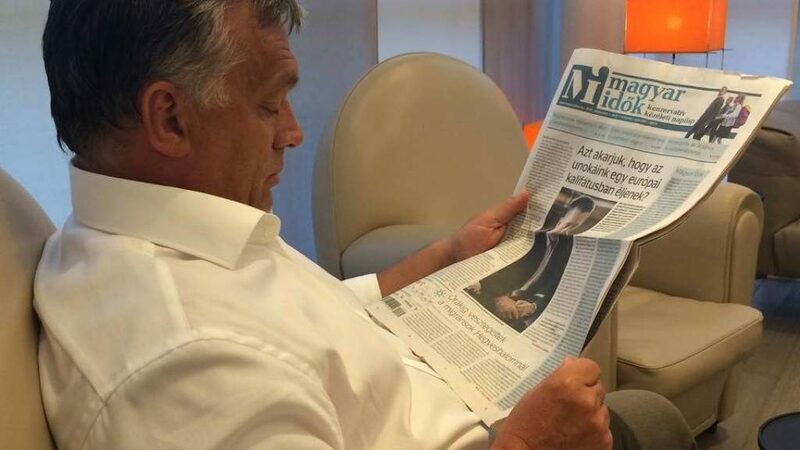 Right after Fidesz’s third two-thirds victory when any chance of receiving government subsidies or getting revenge on Viktor Orbán faded away, the owner closed the paper. The journalists from Magyar Nemzet independently operated a weekly called Magyar Hang (Hungarian Voice), financed only by its readers. After Fidesz won by a landslide, Simicska immediately began downsizing his media enterprises. First, he closed the 80-year-old political daily, Magyar Nemzet, and the media portfolio’s radio channel, Lánchíd Rádió. Later, he stopped financing political weekly Heti Válasz (Weekly Reply) but left management with the opportunity of finding new investors, though they could not. Fidesz’s takeover was predictable once Simicska handed all of his companies (including news channel HírTV and the naming rights of Magyar Nemzet) over to former associate entrepreneur, Zsolt Nyerges. According to newspaper reports, Nyerges acted solely as a middleman in the transaction—his neutrality in the situation making him the perfect person to do so. 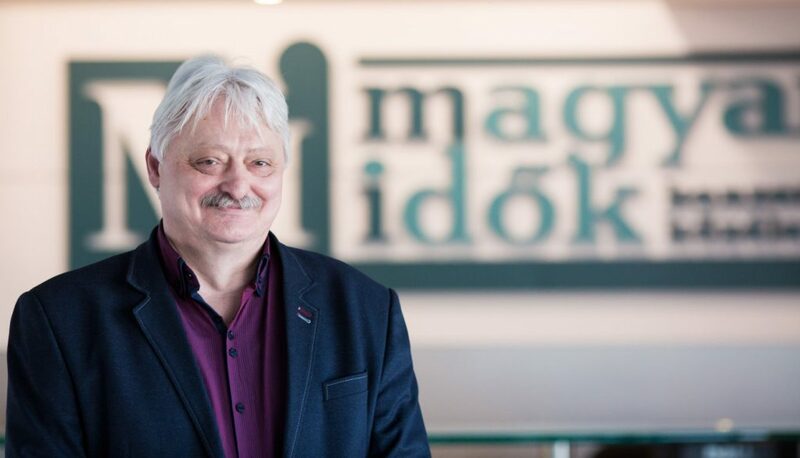 Magyar Idők stated that the acquisition was justified, as the Fidesz party’s official stance on the matter is that the media portfolio belonged to them until Simicska “stole” it from the right-wing voters. Last December, the government declared the newly founded Central European Press and Media Foundation’s acquisition of the publisher of Echo Tv, Magyar Idők, Origo and Opus Press an important case of national strategy. The pro-government media foundation has almost 500 media outlets in every segment. Although the establishment of the new Foundation was only announced at the end of November, rumors of the acquisition had been spreading since the summer. The owners of the media companies will give their assets to Gábor Liszkay—the leader of the foundation—essentially for free. Liszkay has been the mastermind behind pro-Fidesz-media from the very beginning. He was the editor-in-chief of the Magyar Nemzet daily newspaper until the Lajos Simicska group cut ties with the Prime Minister. At the beginning of the “media war,” Liszkay chose to remain loyal to Orbán and left Simicska. István Varga, the Chairman of the Board of Trustees of the Central European Press and Media Foundation, resigned two days ago, right before pro-Fidesz Magyar Nemzet’s re-launch. Varga gave a controversial interview to one of the small television stations in the countryside and explained the strategy of his foundation. He said there are hardly any good right-wing journalists and began his daily new press review with liberal outlets. He said their goal is to create high-quality right-wing journalism that even the liberal side considers worth reading. He resigned from his post following harshly critical remarks. Ottó Gajdics, an outspoken member of Magyar Nemzet during the Fidesz-era and editor in chief of Magyar Idők, couldn’t continue his work in the recently restarted Nemzet (with the staff of Magyar Idők) and was replaced by the more modest Attila Ballai. Following almost a year of non-existence, the first issue of the new era of Magyar Nemzet marked an interesting change as US billionaire George Soros, the main enemy of Hungary and Europe according to the government, and the dangers of mass migration were hardly mentioned—something unique in the pro-Fidesz media universe. All the same, the first issue undoubtedly had a definite pro-government and pro-Fidesz attitude.